The classic zip-around wallet is new for Cruise 2019 in the VN Eyelets workmanship. Crafted from sturdy calf leather, the style features a centre panel of hand-woven intrecciato flanked by brunito-finish eyelets. 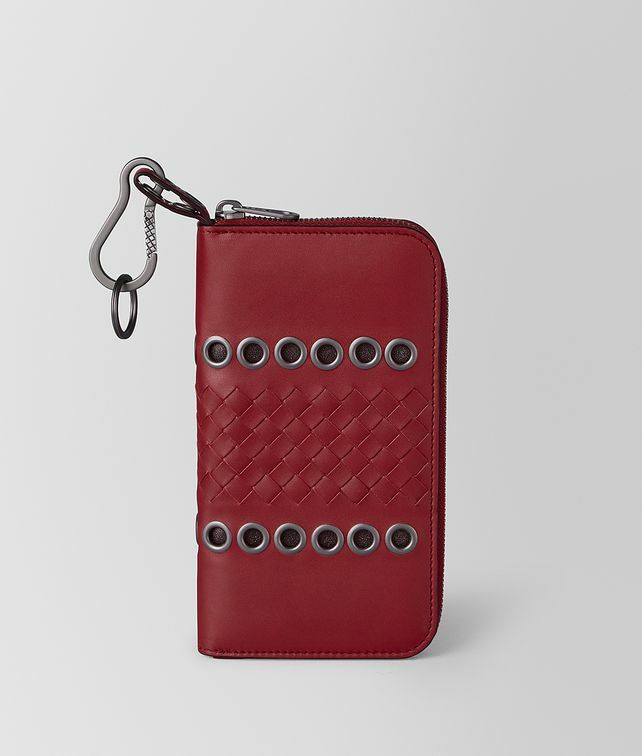 The leather interior is fitted with eight card slots, two note compartments and a zip pocket for coins. Finished with an engraved carabiner clip and a key ring.